The fact that legitimate companies selling a legal product are not allowed to advertise their goods has been a peculiarity of the tobacco industry since 1971. Earlier this month, a complaint was filed in the U.S. District Court for the Eastern District of Texas by En Fuego Tobacco Shop, and the Texas Cigar Merchants Association. The Texas lawsuit is separate from a complaint filed in 2016 by the cigar industry against the FDA, which is still ongoing. The 2016 lawsuit represents the entire industry nationwide. Despite the obvious free-speech infringement of government prohibiting legal businesses to advertise their legal products, the advertising prohibition is completely arbitrary. While tobacco manufacturers face these restrictions, purveyors of alcohol face no such restrictions, and the rules are applied inconsistently even within the tobacco industry. For example, the 2016 lawsuit notes that the FDA’s assessment of user fees allocates those fees only to cigars and pipe tobacco, and not to other products such as e-cigarettes. The 2016 complaint relates to the FDA’s warning label requirements, which are scheduled to take effect on August 10, 2018. Part of a controversial “Final Rule,” the requirements force manufacturers and retailers to put larger warning labels on premium cigar boxes and cellophane wrappers. Cigar packages already display one of four warnings that were settled on in a 2000 agreement, under which FTC warnings were mandated to cover between 13 and 15 percent of one cigar box panel. The new FDA Final Rule requires two display panels to have a warning, which take up 30 percent of the display panel. The Texas complaint against the FDA is significantly more stringent than the FTC rule. It suggests that the 30 percent requirement unduly infringes on space manufacturers use to speak to consumers, making the health warning the dominant message and leaving little room for anything else. 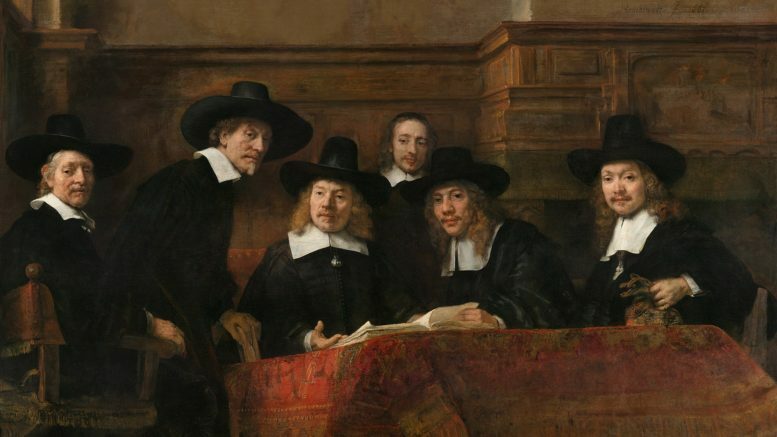 It would be hard to imagine for example, the iconic “Dutch Masters” brand without full view of Rembrandt’s The Syndics of the Drapers’ Guild rendering. Most cigar manufacturers treat their packaging as a work of art, and consumers have come to admire the work and creativity which goes into the packaging. The new rules are scheduled to go into effect on May 10, 2018.